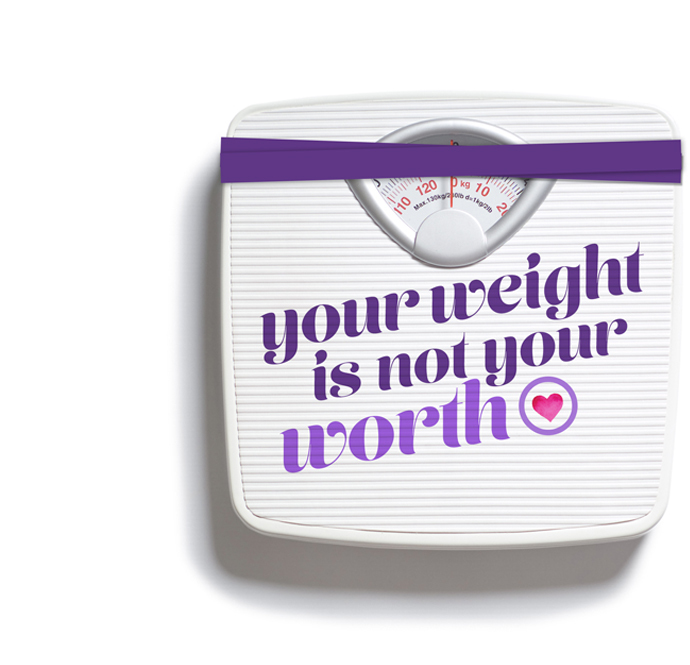 Targeting “adult influencers,” while creating a social media-driven destination for youth and young adults has fuelled Jessie’s Legacy eating disorder prevention program and the Love Our Bodies, Love Ourselves movement. 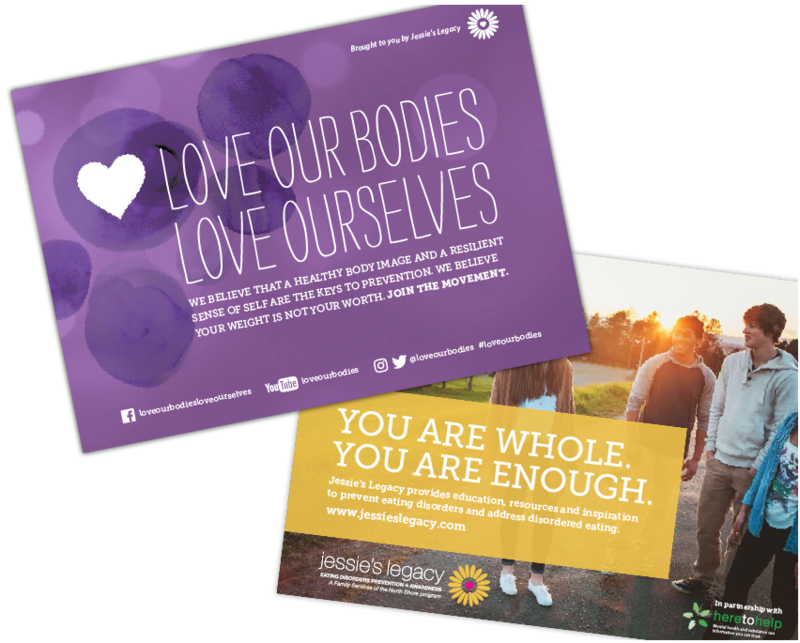 Jessie’s Legacy, a program of Family Services of the North Shore, provides eating disorders prevention education, resources and support for British Columbia youth, families, educators, and professionals. White Crow was asked to help design a fresh new identity and site that would appeal to a youth audience, but still feel connected to the Family Services of the North Shore umbrella brand. THE IDENTITY FOR LOVE OUR BODIES, LOVE OURSELVES NEEDED TO REFLECT A DIVERSITY OF BODY TYPES, sO WE DEVELOPED a set of AN ILLUSTRATions that could be USED ACROSS PRINT AND SOCIAL MEDIA. When the project began, there were no other websites focussed on preventing eating disorders and raising awareness, so Jessie’s Legacy needed to break new ground. 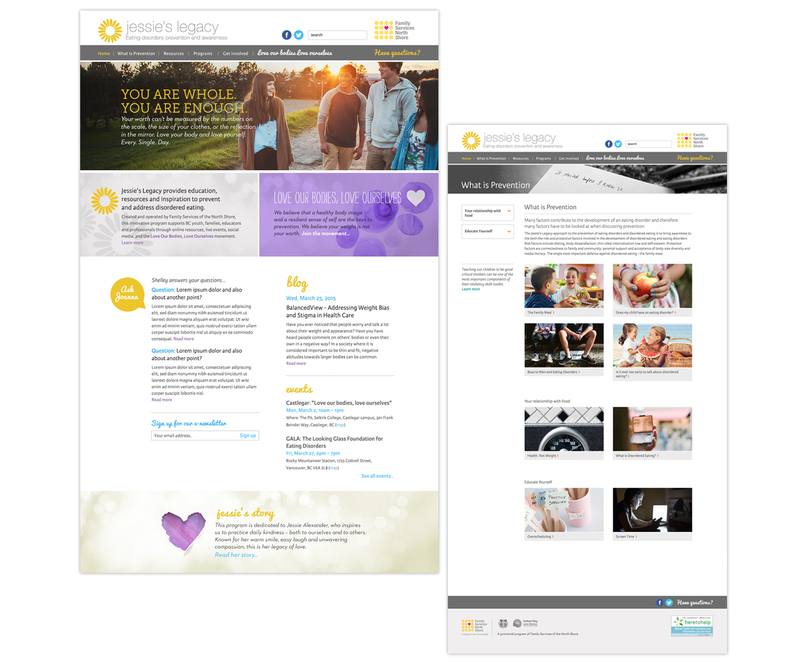 We determined that the site required a simple layout that clearly addressed the two different target audiences: adults and youth. We also realized the youth are far more likely to access this type of information through a social media platform, while the site could focus on user tasks associated with adult influencers. 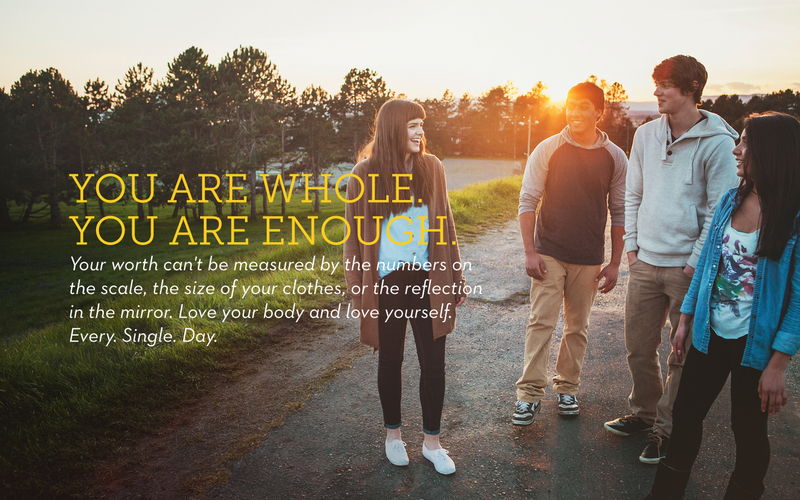 As a result, we chose to leverage the Love Our Bodies, Love Ourselves Facebook page to address the needs of children and youth seeking information about eating disorder prevention and awareness.